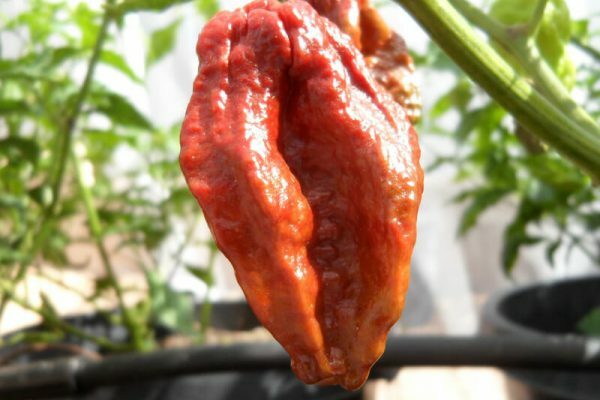 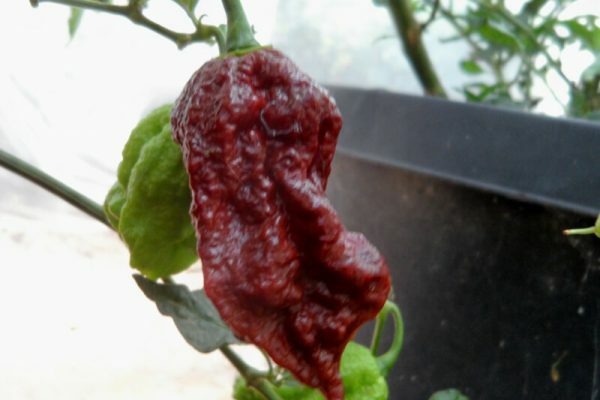 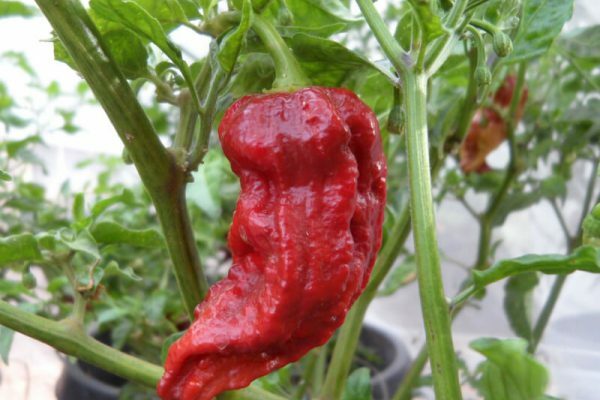 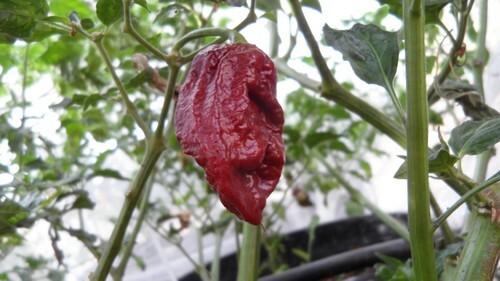 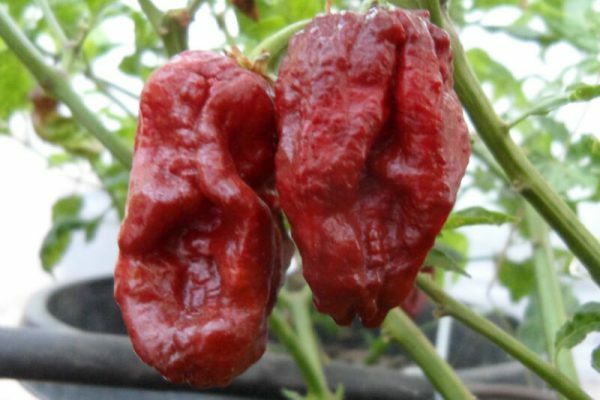 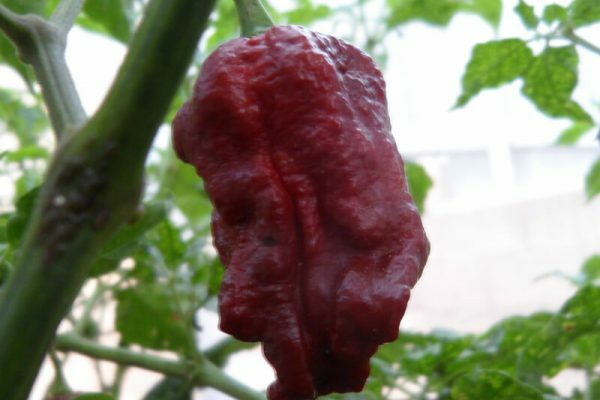 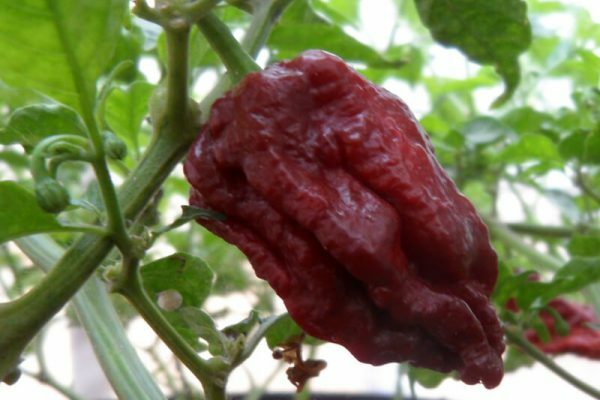 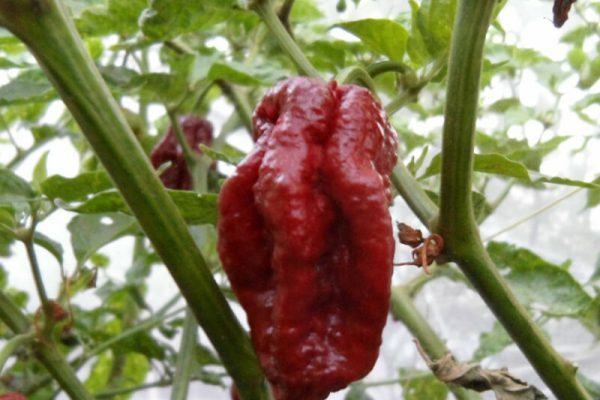 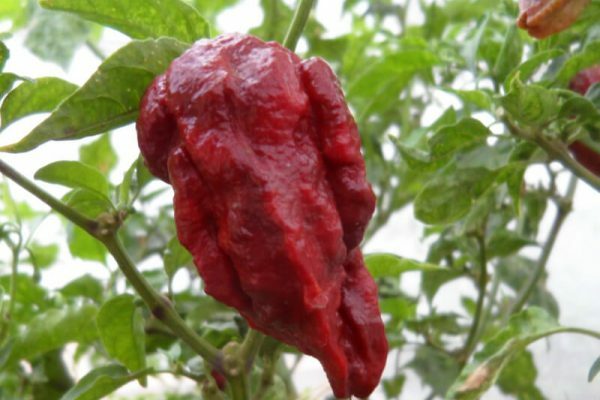 As of 2013 this is an F5 generation cross between a Trinidad Yellow 7 Pot and a Chocolate Bhut Jolokia. 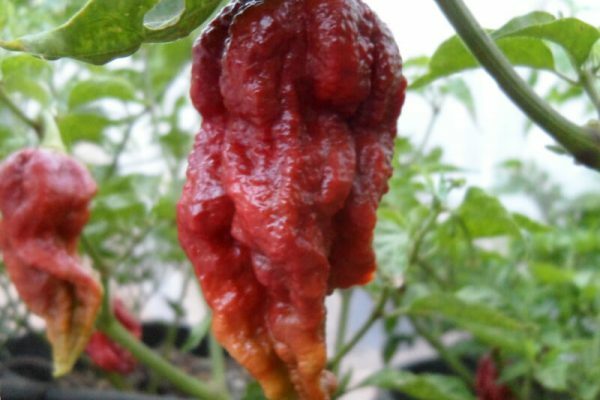 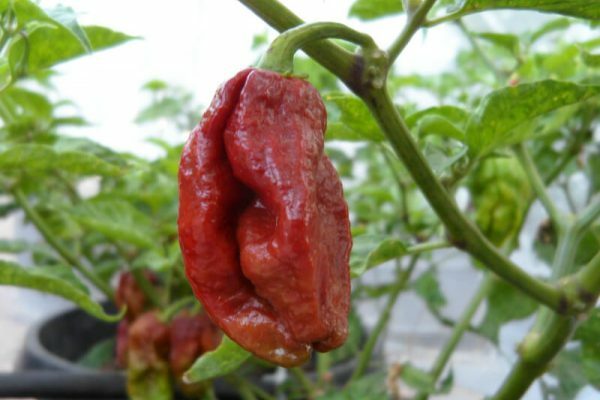 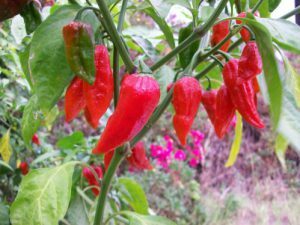 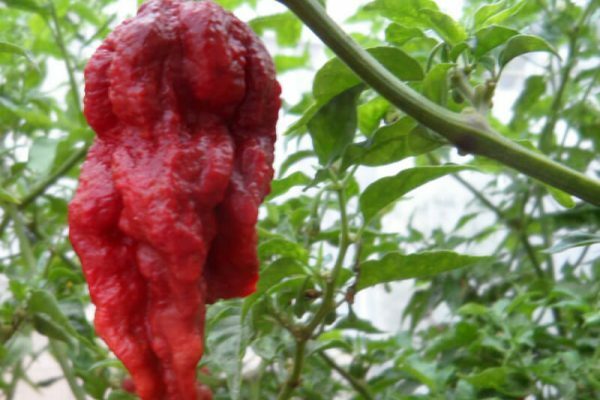 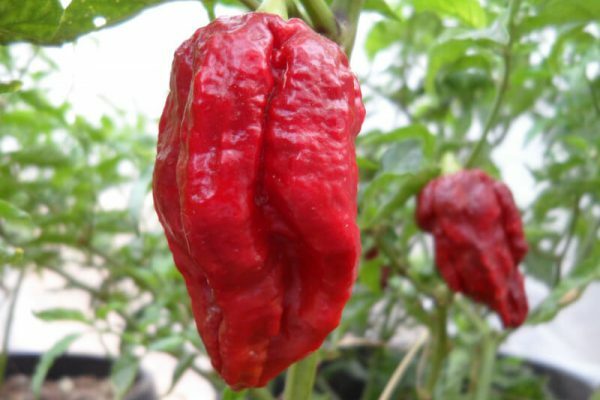 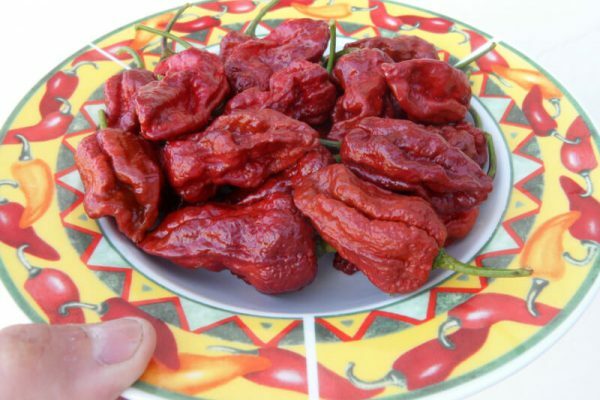 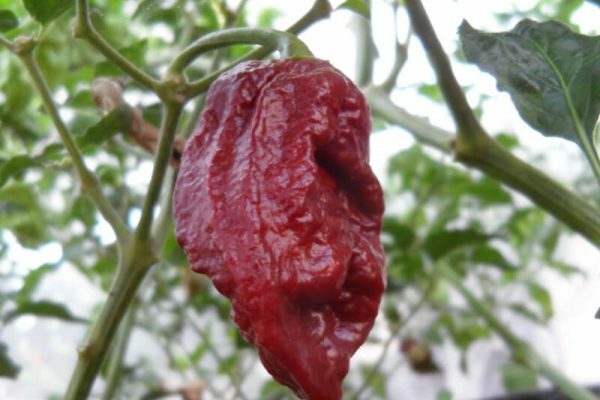 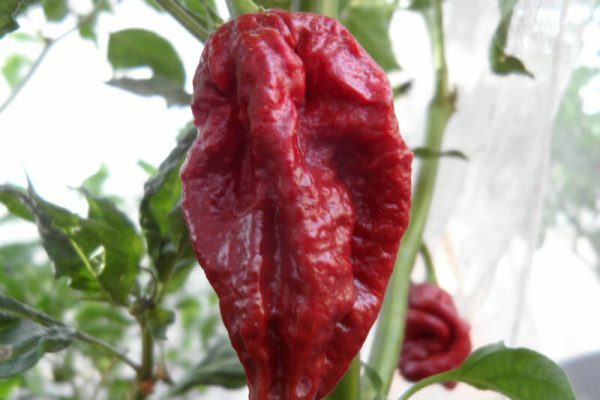 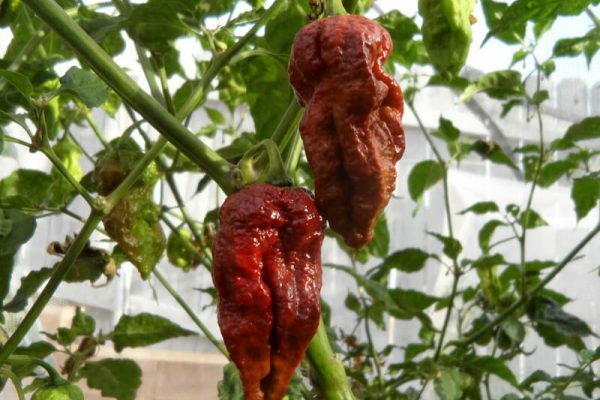 It was created by a pepper grower nicknamed Madhatter. 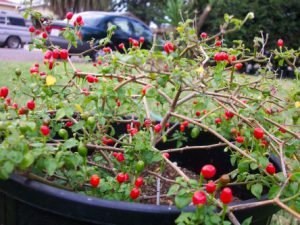 Peppers have a nice fruity floral flavor. 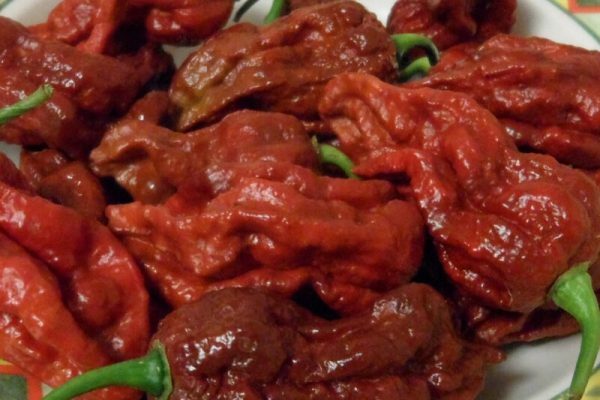 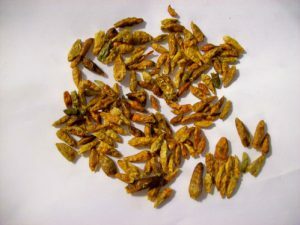 They get a nice wrinkly texture and ripen to a reddish brown. 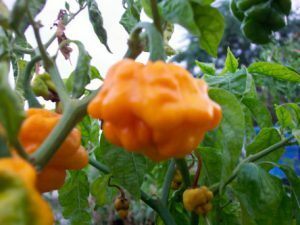 The 7 Pot Madballz pepper can get almost 3 inches long. 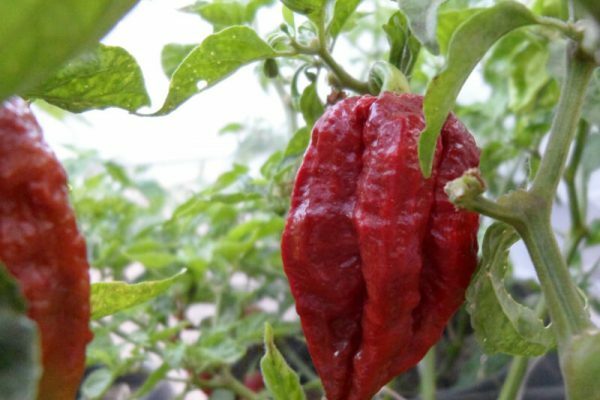 The 7 Pot Madballz chile pepper plants can get up to 4 feet tall.